Deep in the New Jersey Pine Barrens, the Pineys know a few things. 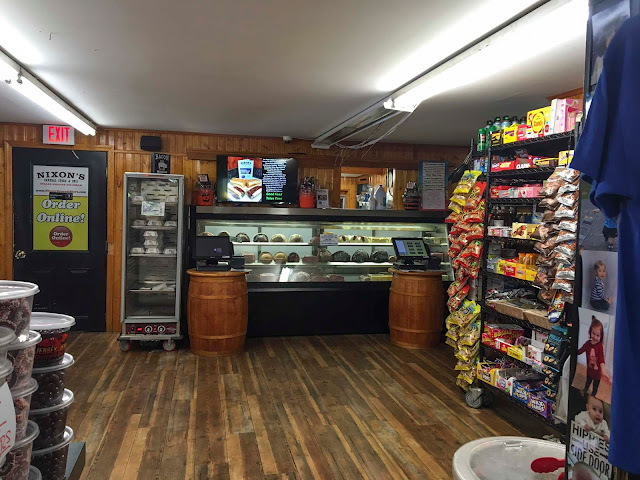 One is where to catch the Jersey Devil and another is how to make some amazing cheesesteaks. 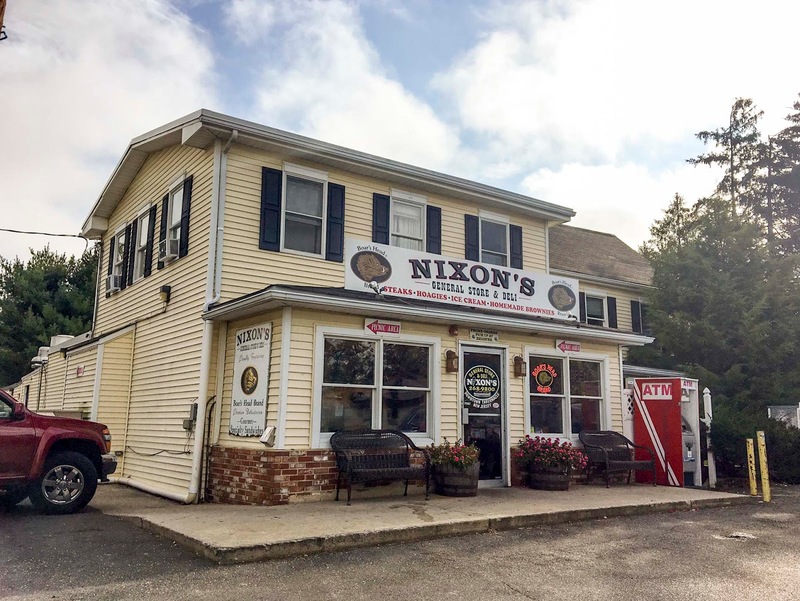 Nixon's is a step back in time, like a gift shop mixed with a local WAWA, and crossed with a high end deli. You walk in and make your way to the back. The barrels are set up with made-to-order screens that let you pick about any option you can think of. 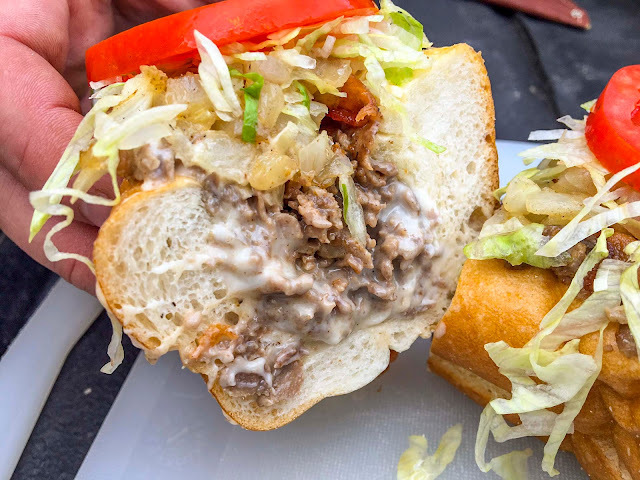 Want your cheesesteak meat in slices? No problem. Finely chopped, there is an option for that too. Add salt and pepper? Copper sharp instead of American (god yes)? They have you covered. You can even get wiz and another cheese. Simply amazing. 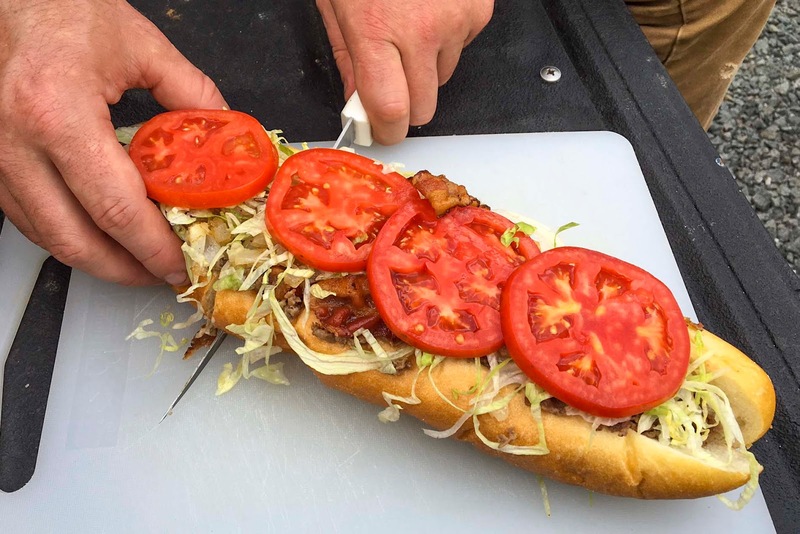 I got here at breakfast, so I decided to branch out and go with the bacon cheesesteak hoagie. 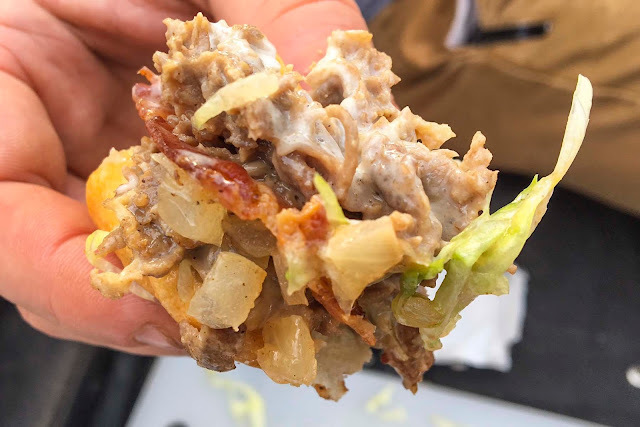 It had bacon, steak (finely chopped/salt/pepper), lettuce, tomato, fried onions (well done option), and Cooper sharp. You can literally customize these things about any way you can imagine. I have never seen anything to this level of detail off of an ordering screen. 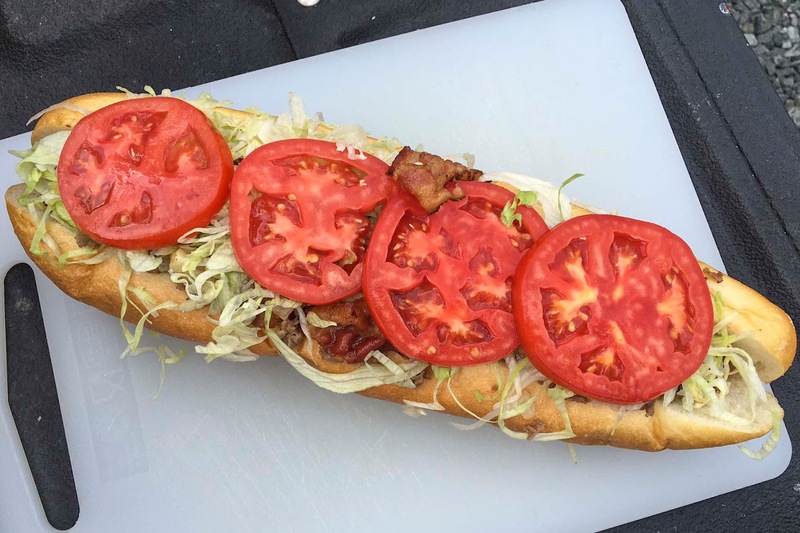 Click the link to their sandwiches above and build your own. It's amazing. So one thing, this place is NOT cheap. 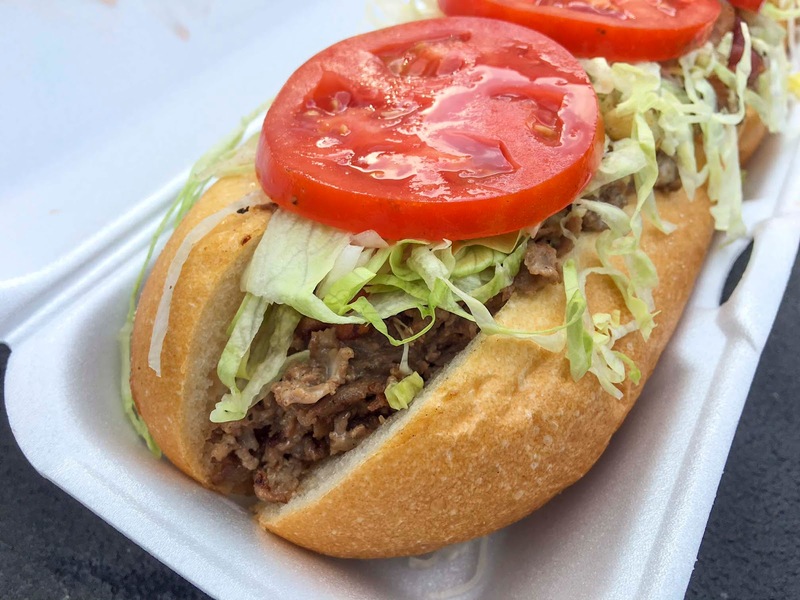 My cheesesteak as pictured below was $15 and change. But it was worth every penny. The quality was outstanding. Look at these tomatoes. These ripe beauties (assisted by the seasonality of my visit) we the best looking (and tasting) tomatoes I remember having on a hoagie in quite a while. As I had just come back from a camping trip in the Pines, I put down the gate on the truck, pulled out the camping cutting board and knife, and sliced up breakfast. The bread (courtesy of nearby Aversa's Bakery) was outstanding, with perfectly seasoned meat, and the perfect amount of sharp and melty cheese. Did this sandwich need bacon? No. Was it like a cheesesteak BLT? Yes. Would I do it over again? Without a doubt. 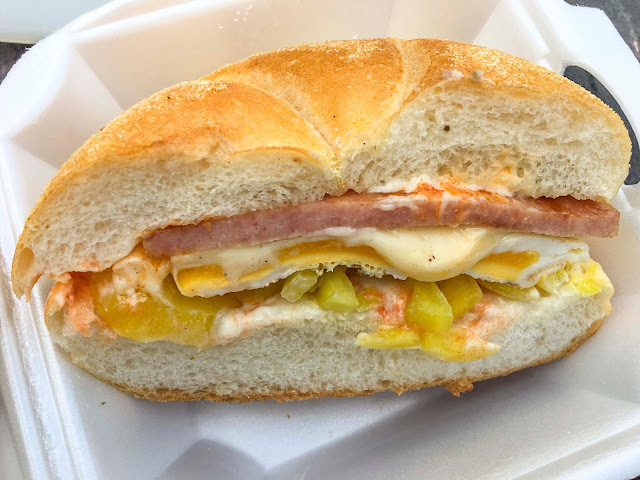 Being the glutton I am, I couldn't JUST get a foot and half long bacon cheesesteak for breakfast, so I gave a nod to the age old Jersey dispute and got a pork roll, egg and cheese. Now one of the best food songs aside, this is a staple of breakfast on the east side of the Delaware. And we love it in Pennsylvania as well. 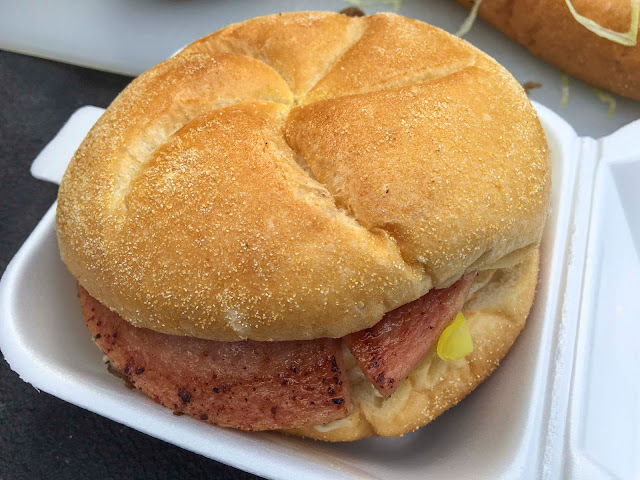 Also - it's pork roll here, not Taylor ham. 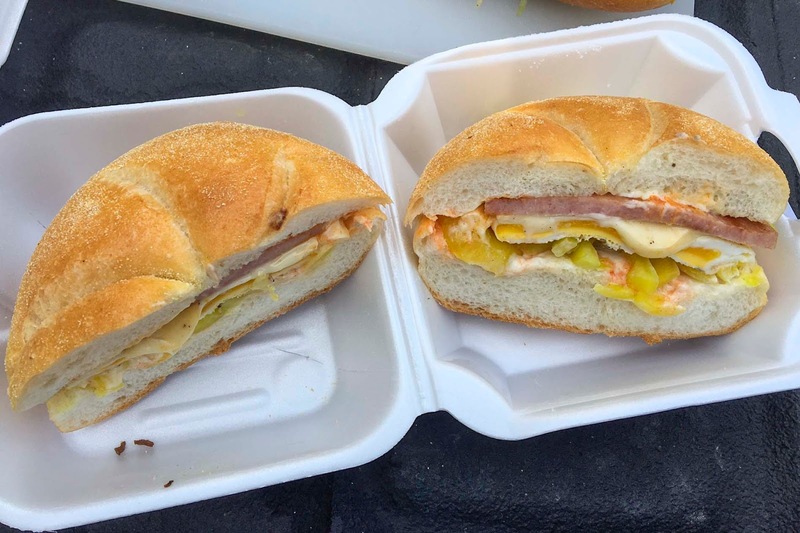 To quote Jerseyporkroll.com "In 1910 it was described as 'a food article made of pork, packed in a cylindrical cotton sack or bag in such form that it could be quickly prepared for cooking by slicing without removal from the bag.'" Nixon's fries the pork roll, tops it with a fried egg and cheese (more Cooper sharp), and then since the sky's the limit here, I added some banana peppers, mayo and hotsauce (the last three due to my computer ordering frenzy). A simple, perfect breakfast sandwich. This is the food of the working class. And you could do no better.